Home » thinking » The emerging gold. Ephesians 4:11 is finding its way back into our bible. There was a time when it was thought that the seams of gold had finally been exhausted and that there was no more gold to be found. 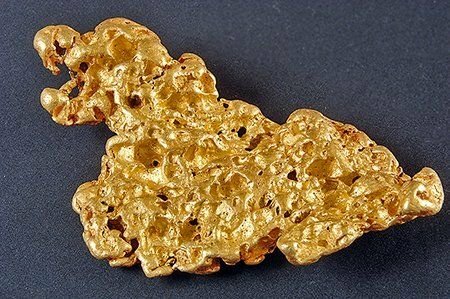 The old cry of “There’s gold on them thar hills!” seemed to be over, until that is, the discovery of a 177oz gold nugget found in the Ballarat goldfields. It’s a bit like that with the things of God. Just when you think that God doesn’t do ‘those things’ anymore, he does. Spectacularly. It’s true that in the new covenant we are a prophetic people. Not only is God speaking to us and through us, but the Holy Spirit has come to make us the temple, the dwelling place of His Spirit. Joel’s prophecy that in the last days God would pour out His Spirit is something that we are living in benefit of. In the Old Testament we read of three types of prophetic ministries, the Canonical prophets such as Isaiah, Jeremiah, Ezekiel. Then there are the prophets such as Nathan, Elijah and Elisha. Their words and deeds were recorded in Scripture. Then we have the ‘others’ – prophets who were nameless or just referred to as the, ‘man of God’. True, there are no canonical prophets around after Malachi, but then the opening days of the New Testament are the days that the prophets have been heralding, there are however prophetic voices and they are clearly evident as the narrative of the new covenant opens up to us in the likes of John the Baptist, Agabus and Phillip’s daughters . When Jesus said that He was sending prophets (Matthew 23:34) nowhere was it implied that it was to be a momentary thing, that as soon as the canon of scripture had been completed that they would no longer be needed. Neither was it implied that prophets would suddenly not hear, discern, know, see or feel God in the same way as Jonah, Habbakuk, Amos or Moses. The prophets are like nuggets of gold for the Church. They are precious indeed to us. We have to push past the false impression in our minds that prophets today can never know God like the ones of old did, that they are unable to receive a clarity of revelation like them and are reduced to hazy impressions and fluffy encouragements. It is not so. Take a look at Ephesians 3:11 again and ask yourself, does this look like an ambiguous, generalised, whimsical task? Prophets are a gift from God. Prophets are here. The prophetic ministry is not the same as a gift of prophecy that we are urgently encouraged to embrace. They are called by God, don’t need activating. Like nuggets of gold, you may think there are rare and confined to history, but you would be wrong. They are in your midst. When you say it is time for them to prophesy they don’t. They hear when you think they are not listening. They see when you are not looking. You have now probably got more questions than you started out with – that’s the start of a good, meaningful and engaging conversation. I think we are in for a pleasant and encouraging surprise which includes a return of the awe of God. The prophets are like gold in our midst, but they are never the true treasure, and they will always tell us about Him. He is infinitely more precious. “Therefore, I am sending you the prophets…” – Jesus.